Thanksgiving themed Freebie — ten books I’m thankful for, authors I’m thankful for, Ten fictional families I’d like to celebrate Thanksgiving with, a personal non-bookish thankful list, etc. etc. I am not American, I’ve never celebrated Thanksgiving in my life and even though I definitely grateful for a lot of books I’ve read, I wanted to do something different. 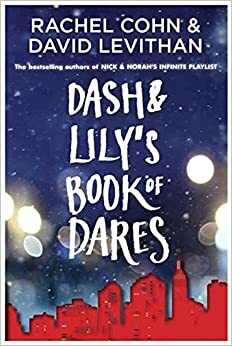 So, I saw a great post over at Victoria’s blog @Addlepates and Book Nerds and I decided to steal her topic – with permission of course!!! She went with Americans who can teach her the way of Thanksgiving and I’ll go with Americans/Bookish Characters I’d Like to Spend Thanksgiving With! Victoria actually had that answer as well, but I simply couldn’t resist. I love Alec, Izzy and Jace together and they are a little family of their own. I bet it would be a very memorable occasion (even though I can’t remember if Shadowhunters celebrate Thanksgiving …). CAN YOU IMAGINE HOW CUTE THAT WOULD BE? I think of it and I see it as being all cuddly and nice. It would smell like delicious food everywhere and everyone would just be happy and comfortable. I just love that guy so much! I bet people would barely get to eat because everyone would be laughing so much. I am sort of imagining it in space right now, but that’s not a must. However, we probably wouldn’t eat anything that involves potatoes … I kind of like potatoes. Sweet potatoes aren’t real potatoes so they would still be there, right? I think I just sort of dissuaded myself from really wanting that Thanksgiving-get-together. This one is maybe a bit of a strange one. 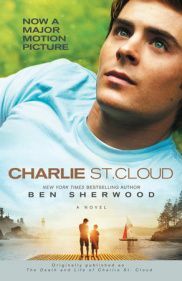 It’s just that ever since I did the Your Future – Book Tag, I started liking the Beauchamps a lot better. They are technically not American, but they’ve spent so much time there, I am sure they celebrate Thanksgiving. Also, the women of this family are formidable at cooking! Already having experienced their Christmas with them, I kind of imagine they have a pretty epic Thanksgiving as well. Maybe another scavenger hunt would spice things up as well. I would seriously love that! Okay maaaybe this is a lot more influenced by the show than it is by the books, but whatever! There is so much food! The whole upper east side society is there and there’s always drama! They don’t have children of their own, but they have such a big heart. I bet they would open their door for me and that we would have a lovely Thanksgiving because they have so much love to give! The pack is a family of their own and they are hilarious and bantery and fun together. They eat so much, I hope they can spare something for me, but spending my time with them would sure be great. I am not sure I can handle the activities they surely have planned afterwards though. 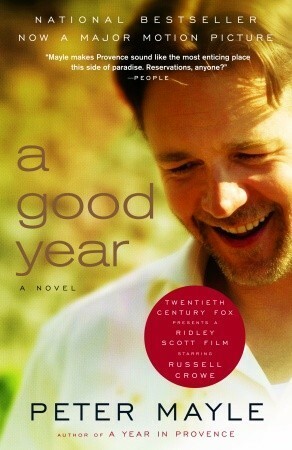 So, for those of you who don’t know, A Good Year takes place in France. There aren’t even that many Americans in the story, except one, and I bet she would persuade the others to celebrate Thanksgiving with her. I bet it would be chaotic but nice because half of the village would be there and there would always be good wine around. I actually have no idea why I chose those two. They just sort of wouldn’t leave my head and I thought, why not? We’d probably have a very improvised Thanksgiving on a boat somewhere, but that would definitely be a nice change as well! Who are some people you want to spend Thanksgiving with? What does your TTT look like? Leave a link below and I’ll gladly take a look at it! And while we are at it, also know that I am very grateful for all of you! 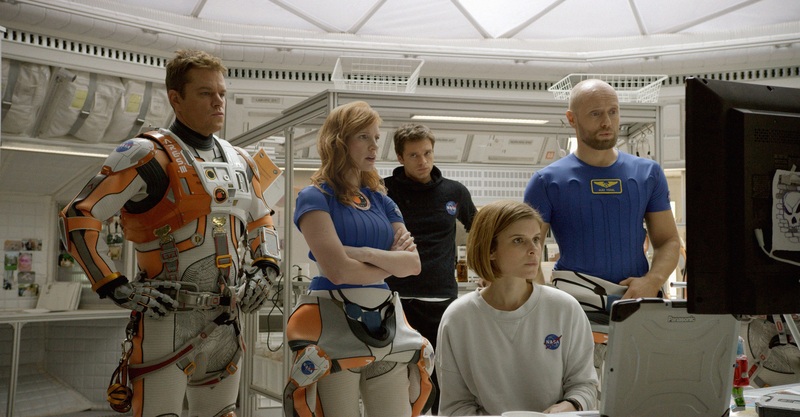 The only crew I recognized was from The Martian. LOL. Was a nice spin on the topic! I gathered since I was reading your post at the same time. Darn it, I love that book so much! I was just listening to it again last night, at least until Miss L crawled into bed with me. lol. I have to get the audiobook as well! It would make things a lot easier sometimes. Great picks! They sound like fun to dine with! Thanks ! I ended up seeing a couple of those around 🙂 but I still like the topic. Do you think we can celebrate with The Lightwoods, Beauchamps and the Waldorfs all at the same time? Epic night. Cath and Levi are so sweet, but you had the couple from Landline – that’s awesome as well! 10 is not enough to get all the great bookish people on the list. I think I’ve most definitely overhyped the Martian on my blog by using it in literally almost every book tag I’ve done since the summer I read it. I remember not being able to get into the Witches of East End show. I could be wrong, but I feel like the production value wasn’t up to snuff for the magical-ness of everything.